Cylinders, Pumps, Motors and Valves – Seal and Cylinder Source – SCS, Inc.
Seal & Cylinder Source, Inc. offers a complete line of new & re-manufactures Cylinders, Pumps Motors & Valves for all your hydraulic & pneumatic applications. Our product offering goes beyond just seals and cylinders. We are dedicated to meeting and exceeding our customers expectations with all their Hydraulic & Pneumatic requirements. If there is a part or service we are unable to supply, Our trained staff will do there best to direct you to the correct source. It is our main goal is to assist our customers with solutions to all there unique problems. We have built a strong distribution network where we can offer these value added products in conjunction with our repair, seal and manufacturing divisions. Seal & Cylinder Source, Inc. is a one stop shop for all your hydraulic & Pneumatic products . Seal & Cylinder Source, Inc. specializes in JIC-NFPA & Custom Tie-Rod Cylinders. Our cylinders are built tough for Automotive, Agricultural, Industrial and Mobile applications. 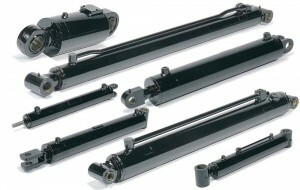 Our tie-rod cylinders are available in Low, Medium and High Pressure for all Hydraulic & Pneumatic applications. These quality cylinders are made from durable materials that help them to withstand conditions that would damage many other cylinders. They are offered in both ASAE standard models and a wide variety of custom stroke lengths. We stock standard JIC-NFPA cylinder componets to insure fast delivery of your cylinders. Consult your customer service representative for more information. Pistons Rods: 5/8 10 standard. Ports: Standard NPTF dry seal tapered threads. SAE, BSPP, Code 61 Flanged Ports, and Over/Under sized ports are available. Stroke: Standard strokes furnished to nearest 1/8, Normal stroke tolerance +/- 1/16. Cushions: Available upon request for all bore sizes at either or both ends. All Stainless Steel, Epoxy Paint, Nickel Chrome Plating, Extra-thick Chrome Plating. Position Indicators and Distance Sensing Switches are available. Seal & Cylinder Source, Inc. offers a complete line of mill duty cylinders to meet all your Hydraulic & Pnuematic applications. Our mill-duty cylinders are designed to meet the tough demands of our primary metals customers. Our cylinders are used on Arc Furnaces, Slab Casters, Rolling Mills, Coating Lines, and other Steel Mill applications. 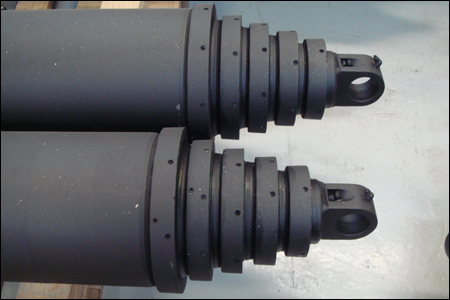 Our Cylinders are available in standard bore sizes from 50 mm (2.0 inch) to 400 mm (16.0 inch) with strokes up to 8 m (300 inch), these robust cylinders are engineered to survive in these, and similar, extremely demanding applications. Mill duty cylinders are also available in custom configurations offering larger bore sizes, longer strokes, and higher operating pressures and Temperatures. At Seal & Cylinder Source, Inc. we specialize in mill duty seal applications. Our cylinders can be fitted with customized seal packages to work with flame resistant fluids. We can provide seals for mill duty applications that are rated to 600 Deg F and compatible flame resistant fluids but not limited to Castrol Anvol, Quaker Quintolubric, Dow Ucon Hydrolube, Skydrol, Exxon HyJet, Pyroguard, Swepco, ACT Water Glycol, Hougho-Safe. At Seal & Cylinder Source, Inc. we have a huge range of standard products in our catalogs and our engineers are ready to work with you on any custom designs that go beyond the scope of what is included in our documents. At Seal & Cylinder Source, Inc. we provide our customers with solutions to their most difficult problems. At Seal & Cylinder Source, Inc. our welded cylinder line is one of the most competitive and highest quality Clevis Mounted, Rod Eye & Pin Eye mount cylinders in our industry. These cylinders are tested to our highest standards. Our cylinders are designed to perform in the Agricultural industry as well as other industries. We have thoroughly tested these cylinders to our standards for quality and performance and they meet or exceed them.At Seal & Cylinder Source, Inc. we stand behind our products and back up all of our cylinders with a 1 year limited warranty. These cylinders are Painted black standard. All-steel welded construction makes 3000 PSI SCS, Inc. welded cylinders ideal for agricultural and construction applications. If you require a special color please consult your sales representative. These cylinders are pre made and in stock in our factory. Most cylinders and Components can ship in 1-2 days. If you are unable to find the exact cylinder you need in our catalog, we can modify any cylinder to fit your application. 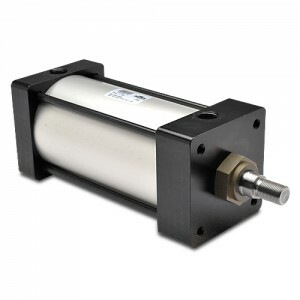 Seal & Cylinder Source, Inc. supplies pneumatic cylinders are built to perform on the toughest applications. Incorporating a variety of advanced features, proven through the years, these cylinders will provide a long, maintenance-free service life. Advanced engineering combined with quality materials and expert workmanship contribute to the making of a rugged, top quality pneumatic cylinder. 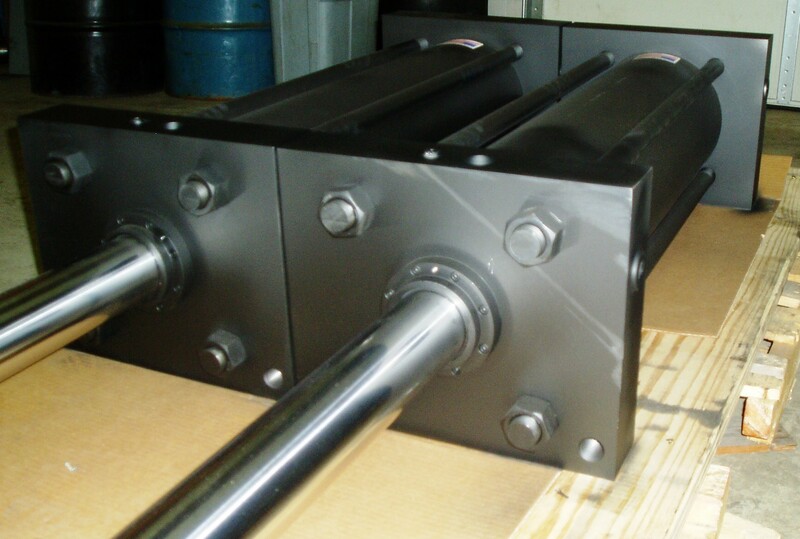 We offer pneumatic cylinders in aluminum & steel as a standard. Custom construction and special materials can be provided upon request. Our engineering department can assist you with all your cylinder design requirements. Designed to provide long life in many rugged applications. Working pressure ranges up to 150 psi air and up to 1500 psi hydraulic f.
Can be specified with built-in flow controls, cushions, shock pads, stroke adjustment, magnetic piston for hall effect or reed switches, and many other time saving options. Wide range of options and sizes makes it fast and easy to select a cylinder to fit your application. Tie-rod construction of Tom Thumb® cylinders makes them easy to repair in the field for extended life. Seal & Cylinder Source, Inc. offers both Single Acting and Double Acting Telescopic Hydraulic Cylinders. Our standard catalog list telescopic designs as well as custom application engineered telescopic cylinders. 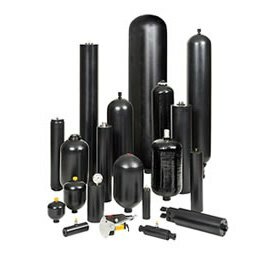 These cylinders are available in 2, 3, 4, 5, or even 6 stages. Rebuild-able V-packing seal package provides low-pressure and high-pressure sealing. External packing nuts provide added support for tubes and simplify servicing. Polished steel stages. 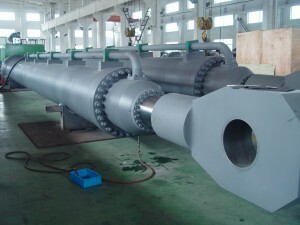 Custom X-treme load telescopic cylinders can be manufactured upon request. Consult our engineering department for all your custom requirements. 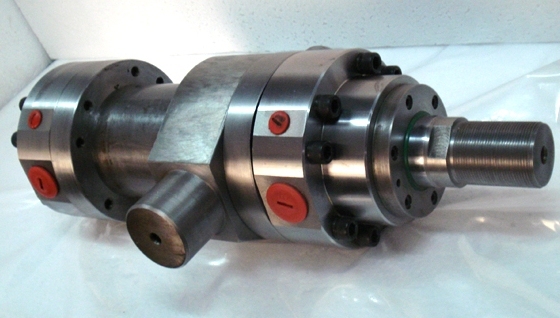 Custom Cylinders are purpose-built cylinders with unique features and do not follow a common standard or size. 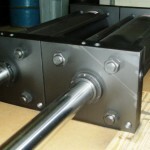 Our custom cylinders are used in a variety of applications. Our engineering and design techniques are base on safety, repair-ability in the field and performance. We use the latest design techniques and blend with the old time tested designs. We do this to manufacture a product that out performs our competition while maintaining affordability. In addition to standard models, Seal & Cylinder Source, Inc. specializes in the design of customized cylinders. We have the experience to provide special cylinders to meet your specifications and requirements.Special features can include the addition of Linear Displacement Transducers, Proximity Switches, Dual Mounting Styles, High Temperature & Pressure Seals, Double Rod Cylinders, and Pressure Boosters. At Seal & Cylinder Source, Inc. we can manufacture custom cylinders for all types of hydraulic & Pneumatic application. Our experience is extensive but not limited to custom tie-rod, round-body, square-body,extreme service, telescopic, mill-duty, intensifying and miniature cylinders. If you can think it! We can build it! 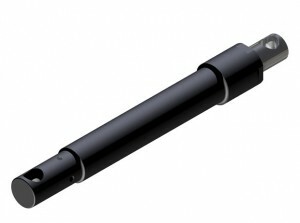 Seal & Cylinder Source, Inc. offers new replacement snow plow cylinders for most major snow plow manufactures. Our snow plow cylinder line is one the most competitively priced cylinders and manufactured to the highest standards in the industry. We can supply replacement snow plow cylinders for but not limited to Case, Caterpillar, John Deere, Massey-Furguson, New Holland, Kubota, Western Plow, Boss Plow, Snow Sport, Arctic Plow, Blizzard Plow, Hiniker Plow, Viking-Cives, Lawton, Daisey Chopper, Trailbuster, Snowman Plow, Fisher Plow, Meyer Plow, Snow Bear, Pathfinder, EZ-Plow, Falls Plow, Sno-Gtae, Henke MFG. Ductile iron gland, drilled oil passages. Honed steel tube, precision finished for extended seal life. High tensile, hard chrome plated rod. 2-Piece 93A urethane piston seal, with a 70A nitrile energizer. All Seals: Manufactured to US specifications. Seal & Cylinder Source, Inc. offers accumulators for many types of industrial applications. Our engineering department can assist with ensuring the accumulator fits the application rather than forcing the application to fit the accumulator. The three common designs of accumulators are Bladder, Diaphragm, and Piston styles. Our accumulators are available up to 15,000 psi working pressure. Specialized variations of Diaphragm and Bladder accumulators are available for pulsation dampening, silencing, and shock absorption. 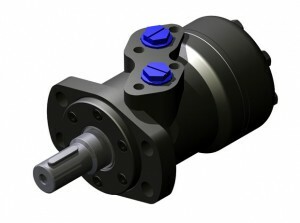 Seal & Cylinder Source, Inc. supplies hydraulic pumps for all types of applications. At Seal & Cylinder Source, Inc. we bring our knowledge of the Fluid Power Industry and extensive supplier network to you which translates into cost savings and reduced downtime. If we can’t supply you with what you need when you need it, we will point you in the right direction to find it. We specialize in several types of hydraulic systems and hydraulic repair. 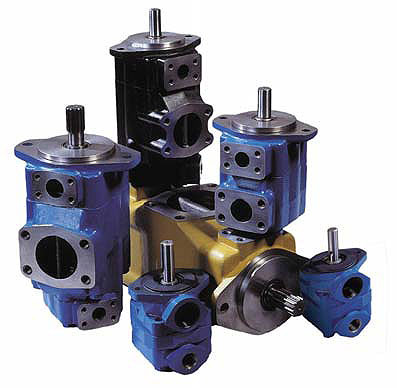 We work with hydraulic pumps, hydraulic valves, hydraulic filters and hydraulic motors. 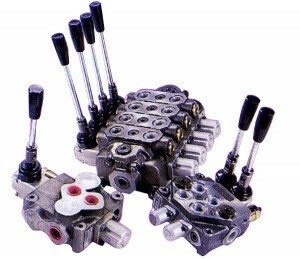 We can work with hydraulic vane pumps, hydraulic oil pumps, commercial hydraulic pumps, manual hydraulic pumps. Some brand name pumps we work on are Bosch Rexroth hydraulic pumps, parker pumps, Vickers pumps, Hagglund Pumps, and Sundstrand Hydraulics. Contact us for more information. Seal & Cylinder Source, Inc. focus is on providing Hydraulic repair services rebuild, repair and calibrate used hydraulic components and equipment such as hydraulic pumps, cylinders, actuators, valves and servo valves, motors, jacks, rams, hydraulic power units and hydraulic machines or systems. Seal & Cylinder Source, Inc. has extensive expertise with hydraulic motors and carries a substantial inventory of motors from several major vendors. Depending on your requirements, We can supply high-quality hydraulic motors, taking into account a wide variety of functional and hydraulic system requirements. Seal & Cylinder Source, Inc. supplies hydraulic motors from high quality manufacturers, such as Calzoni, Denison Hydraulics, Parker, and Staffa Kawasaki. We can provide premium build hydraulic motors, as well as motor spare parts, service and installation manuals. Seal & Cylinder Source, Inc. Offers a wide range of Servo Valves, Proportionals, and related Servo Amplifiers. Our products are known for quality and precision. Manufactured and designed with an impressive range of flow rates, sizes, pressures, configurations, and step response times, their Servo/Proportional Valves meet the unique needs. Some typical applications include metal forming, plastics, power generation, automotive and aerospace testing, and gas, steam & weather turbines. Seal & Cylinder Source, Inc. offers hydraulic control products for pressure control, flow control and directional control valves for optimum combination of performance, reliability, value, and responsiveness. Our valves are used on machines such as material handling equipment, on-highway trucks, grounds care equipment, aerial lifts, medical chairs and tables, forestry equipment, trash compactors and recycling bailers, agricultural equipment, construction equipment, industrial equipment, log splitters, and many more. Our Manual Directional Control Valves have flows up to 20-30 GPM and working pressures up to 2,500-3,000 PSI.